I used a piece of green cardstock on top of pink to bring the card together. 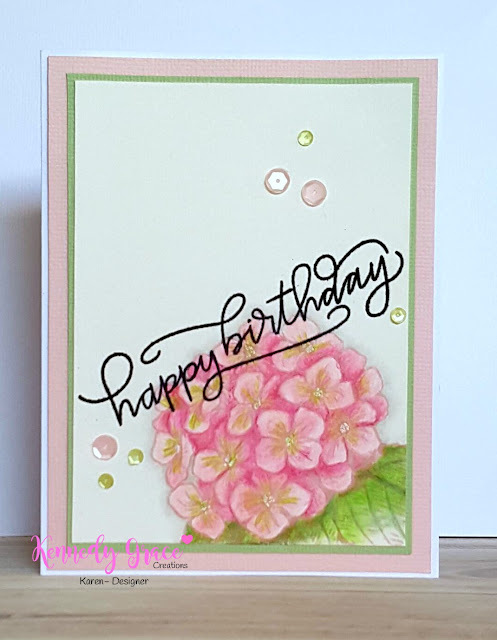 Final step was to stamp the sentiment in black to add a little drama to the card and draw the eye to the flower. Finished off with a few sequins from the Primrose mix.